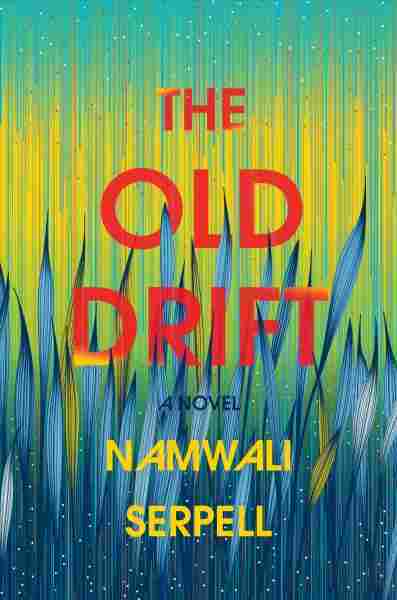 Book Review: 'The Old Drift,' By Namwali Serpell Namwali Serpell's lush, sprawling new novel is a speculative history — and future — of Zambia, from colonialism to an ill-fated space program and the age of mass surveillance and drone warfare. "We're your oldest friend, your ancient enemy ..." warn the chorus of Namwali Serpell's lush speculative novel The Old Drift. Can you guess who they are? "We're perfectly matched ..." they say. "We're both useless, ubiquitous species. But while you all rule the earth and destroy it for kicks, we linger and loaf, unsung heroes. We've been around here as long as you have — for eons before, say the fossils." A mosquito chorus drifts through this ambitious multigenerational epic set in Zambia, providing the long view of human history from a species that knows us down to our skin and blood. "To err is human, that's your doom and delight," they tell us, and prove it, showing Zambia as a confected nation, an error of colonialism and history. Serpell begins with the colonial explorer Dr. Livingstone, felled by malaria while looking for the source of the Nile in the wrong place: "This is the story of a nation — not a kingdom or people — so it begins, of course, with a white man." Through the stories of three overlapping families, European, African, and Indian, she then presents the history (and future) of Zambia, through colonialism, Zambian independence, the AIDS epidemic, the ill-fated Zambian Space Program, the Kariba dam, revolution, and forward into the age of mass surveillance and drone warfare. The later chapters of The Old Drift depict a near future in which devices called Beads — a bit like smartphones — are embedded in human hands. Predictably, they quickly become a tool for government surveillance and control. Meanwhile, a vaccine developed with foreign money is being tested on unwitting Zambians: "[B]lack people have always made great guinea pigs," one character remarks bitterly. To err also means to wander, and The Old Drift does, shamelessly: It does not acknowledge restraints of species or time or perspective or taste or page length (568). Like a mosquito swarm, the narrative hovers, drifts, and returns elliptically to the same places again and again. Serpell will use, for instance, three different metaphors in a row to describe the night sky: "The scroll of the night unrolled, flat as it ever was, its uneven Braille twinkling down. The black sack scattered its loot of light back across the universe again. And the vast night tree under which we all stand bloomed with pale blossoms once more." Serpell's style is florid, but the excess often comes with a point. These are indeed three ways humans think about space: As something legible and predictive, as a resource to exploit, and as a source of beauty and awe. You also get the sense that the descriptive excess is a conscious choice; as one character says, "[W]hat ruined this country was efficiency — the British worship of efficiency." And while she is sweeping in scope and gesture, she can also be precise, especially about smells and sounds: "[h]is pulse ticked faintly, erratically, like cooling metal," a woman "let out a languorous ululation like a glugging drain," stones of a gravel drive "gurgled affably" under the wheels of a car. Serpell's style is florid, but the excess often comes with a point. Serpell also performs exquisite acts of literary ventriloquism (in addition to scattered allusions from Shakespeare to Milton to Lucretius to Virgil). The final chapter is a close reworking of the opening of Joseph Conrad's Heart of Darkness, and the first chapter is written in the pitch-perfect voice of a jolly, cruel British colonist: "The worst difficulty of exploration, I learned, is that it is a tormenting isolation. There was no chumming it up with the blacks, naturally." In the final chapters, three young people, descendants of the three family lines traced in The Old Drift, mount a revolution by hacking the Beads and using the mosquitoes' robotic twins, tiny solar-powered drones, to mount an attack on a system of oppression in place since the founding of Zambia. "Power's just an accident that depends on the weakness of others," says one of the revolutionaries. "They grabbed what they could get for the sake of what they could get." These chapters have a wonderful, apocalyptic finality, with floods and flames, speeches and sacrifice. The Old Drift offers a view of human history characterized by generative mistakes, from Dr Livingstone's fatal calculation about the source of the Nile to evolution itself: "Don't forget evolution forged the entirety of life using only one tool: the mistake ..." To err is human, we hear again and again. But the second half of that maxim, the part about forgiveness, isn't mentioned. You get the sense it might be beside the point to Serpell's youngest generation of characters, with their scalding assessments of injustice and cruelty by those in power. They're not here to forgive. They're here for the revolution.